Chef Inox brought you their Professional collection - so you could experience a little commercial quality in your own kitchen - and now they are back with their Miniatures range of cookware. 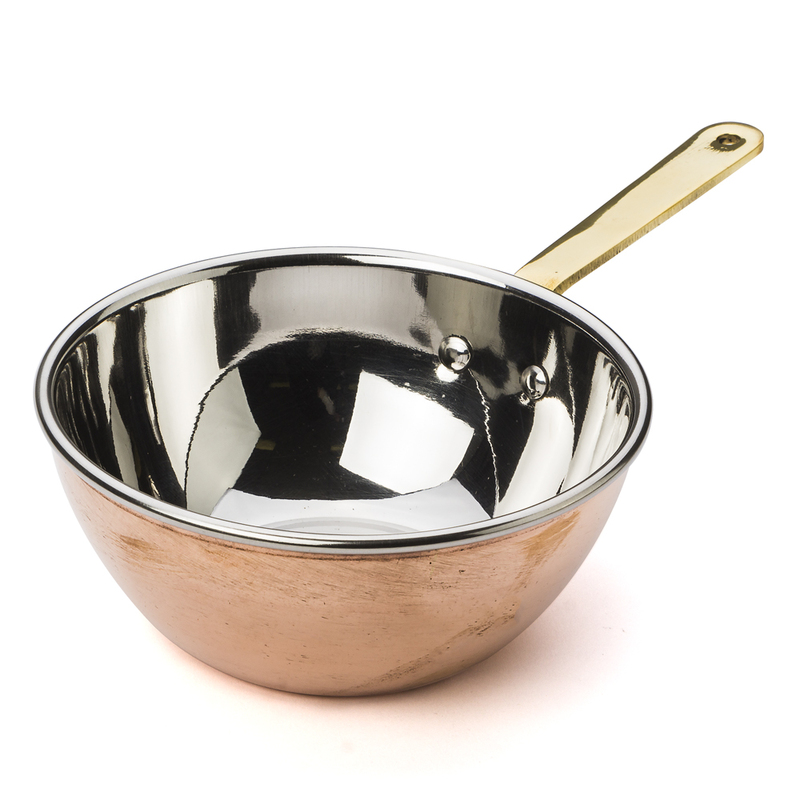 Crafted from top quality stainless steel, with a copper exterior and thick layered base for even heat distribution, Chef Inox's Miniatures range of petite saucepans, frypans and woks is designed for individual portions from the oven to table. Each piece in the range is suitable for all cooktops, and is oven safe to 250°C, so you can use your little kitchen companion to make souffles, puddings, sauces and even your morning scrambled egg! Made from professional grade 18/10 stainless steel, with a copper exterior. Includes polished brass carry handles. Dimensions: 11cm (w) x 4cm (h).